Bulleys commercial property experts offer a wide range of commercial property in Tipton. Finding commercial property for sale or to let throughout Tipton and West Midlands can often be a time consuming process, so we provide our expertise to help you make the right choice. 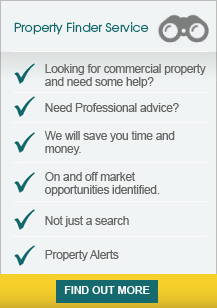 If you can't find the commercial property in Tipton you are looking for let us know and we will be able to assist you, or why not try out our property finder service and register for commercial property alerts. Our commercial property in Tipton are updated daily, so you can be rest assured we bring you the most recent and up to date commercial property listings. We also provide other commercial property services including property valuations, renegotiating leases, rating, and commercial property management in Tipton and West Midlands. Bloomfield Park is situated on the A4037 Bloomfield Road approximately ¼ mile from the main dual carriageway A4123 Birmingham New Road linking Wolverhampton Town Centre to Junction 2 of the M5 Motorway approximately 3½ miles distant. The new A463 Black Country..
Bloomfield Park is located on the A4037 Bloomfield Road approximately 1/4 mile from the main dual carriageway A4123 Birmingham New Road linking Wolverhampton Town Centre to Junction 2 of the M5 motorway approximately 3.5 miles distant. The A463 Black Country Route lies..
Cleton Business Park is located on Cleton Street situated just off the A457 Tipton Road. The unit is approximately 3 miles from Junctions 1 and 2 of the M5 motorway giving access to the regional and national motorway network, and easily accessible to both the Birmingham.. The estate occupies a prominent position on the busy junction of Dudley Port and Sedgley Road East, two miles from Junction 2 of the M5. The unit is located on Hale Trading Estate, Lower Church Lane, Tipton. Lower Church Lane is accessed from the main A461 Dudley to Great Bridge Road and a short distance from Great Bridge centre. The M5 motorway at junction 2 lies approximately 4 miles distant and provides.. The premises are located on Link One Industrial Park which overlooks a major roundabout off the A41 Black Country New Road at its junction with George Henry Road. The Black Country New Road dual carriageway connects the M5 Motorway (J1) approximately 2½ miles distant..
Vaughan Park is a 28 acre estate situated on the A457 Tipton Road within an established industrial location and benefi tting from a skilled local workforce. Junctions 1 and 2 of the M5 motorway are within 3 miles, providing excellent access to the national motorway network..
Cleton Business Park is located on Cleton Street situated just off the A457 Tipton Road. The units are approximately 3 miles from Junctions 1 and 2 of the M5 motorway giving access to the regional and national motorway network, and easily accessible to both the Birmingham..
Brymill Industrial Estate is located at the bottom of Brown Lion Street which in turn is located off the A4037 Bloomfield Road, approximately 1/4 mile from the main dual carriageway (A4123 Birmingham New Road) linking Wolverhampton Town Centre to Junction 2 of the M5 motorway.. The unit is located on Elwell Street which is an established industrial location accessed from Great Bridge Street and being close to the main A41 Black Country New Road. The A41 Black Country New Road is easily accessed and gives a direct route to the A41 Expressway leading..